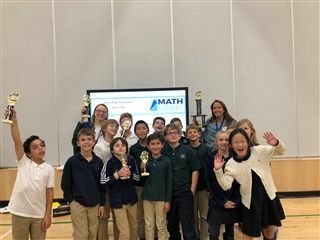 Boulder Country Day School’s 4th & 5th grade Continental Math League team won first place in their division at the Continental Math Tournament held at Aspen Ridge Prep School in Erie on Monday, November 5th. Several BCD students placed within their grades including Alexander O’Hearne 1st Place in 3rd Grade and Amitai Sebba 1st Place in 4th Grade. Several BCD students qualified to move on to a state competition.